All Bran is one of Kellogg’s products that is oriented mainly towards women. The main feature of this product is the high fiber content. One of the misconceptions about it is that it has bad taste (tasteless) and it is only used for regular bowels. Change the user’s mind by showing things that are bad at first sight, but turn out really good in the end. At the same time show the product and all its varieties. Enjoy the best musicians during this week in the Tube. Famous musicians playing in the Tube. Not all addictive things are illegal, not all fiber cereals have bad taste. Taste All Bran fiber in flakes, bars, minibreaks and cookies. 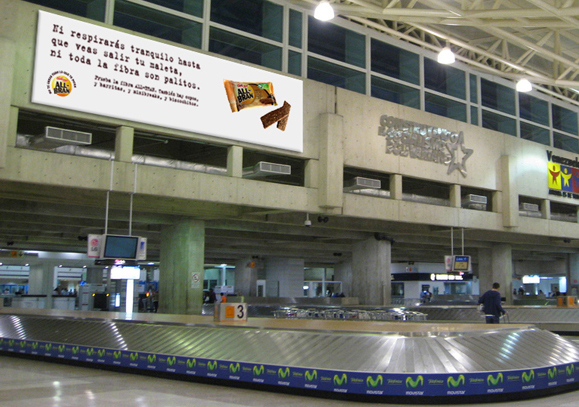 You won´t take a breath until you see your suitcase – not all fiber cereals are sticks. Billboard in the luggage room at the airport.